Atlas Quest: Hike a Thoning! Imagine your favorite hiking trail. It probably leads to a scenic viewpoint or gorgeous waterfall, right? But one thing you probably don't think about is the work that goes into maintaining them. You'll notice it when it's not maintained--the mud, those thorny bushes reaching out to scratch you, or climbing over and under logs that have fallen across the trail. You'll notice when you lose the trail completely because it's unmarked or overgrown or the bridge crossing that raging river has washed away. And the Washington Trails Association (WTA) helps make sure you don't notice the trail so you can admire those great views and raging waterfalls. A good trail is a lot of work. It's also hard on tools, like this shovel I recently broke while trying to pry a rock out of the trail. Well, that rock is still in the trail--it never did come out--but shovels don't grow on trees. If they did, the WTA wouldn't need money to buy and fix shovels--after all, they spend a lot of time around trees and could just grow them instead. But shovels don't grow on trees. Neither do Pulaskis. Nor cross-cut saws. 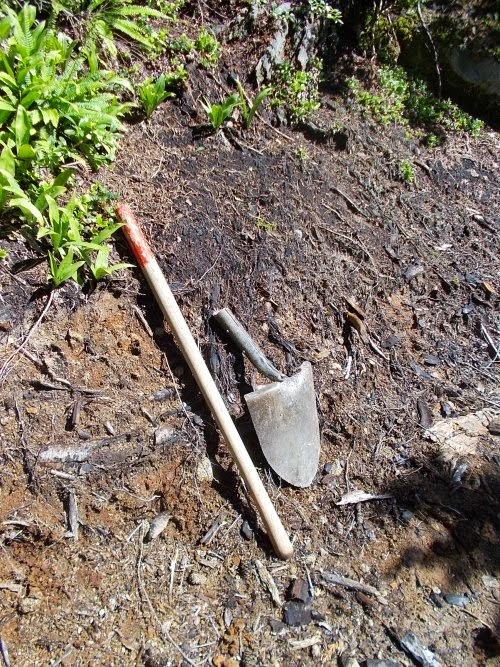 Nor axes or grub-hoes--none of these essential tools for trail maintenance grows on trees. The good thing, though--these tools aren't especially expensive either. Just $10 might be enough to fix or replace an essential tool. It might not seem like much, but a tool here and a tool there--it adds up! As I do every August, I participate in the Washington Trail Association's (WTA) Hike-a-Thon! I have to admit, this August, I was pretty pathetic. The last week of July, I did some trail work with the WTA and I intended to blog about it during August and I started the blog entry, but alas, I never finished. Seemed like more pressing matters kept getting in my way. However, it's not too late to donate. They're still collecting money for another week or two--those personal checks, I guess, take time to work their way through the mail system to their offices. 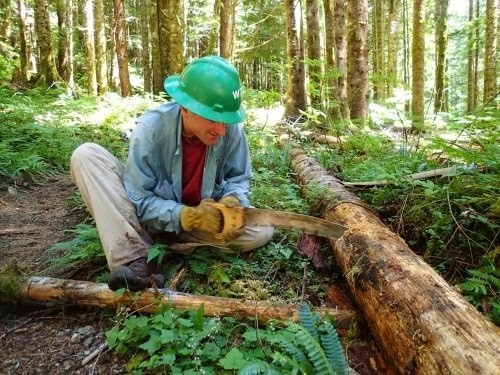 I use a small saw to cut out this log that's fallen across the trail. So help buy a tool. Just sponsor me to make a donation, and thank you for your generosity! To make sure you get the postcard okay, it might be a good idea to email me your current address. The WTA won't provide me with it, and while I might have many of your addresses if you've ordered something from Atlas Quest over the years, I can't know if the address is out of date or not. So to make sure you get your postcard sooner rather than later, contact me directly and let me know! Also, at this point.... please NO personal checks anymore. Amanda and I won't be home to process them until it's too late to count towards Hike-a-Thon, so at this point, all donations must be online. 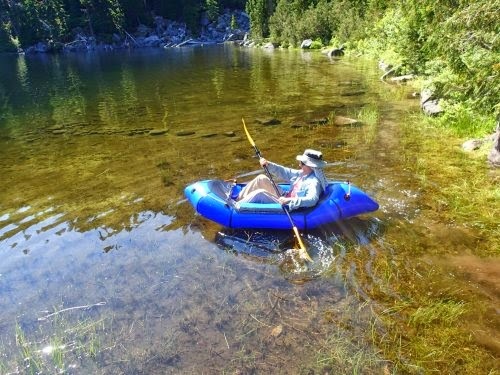 Snoqualmie Lake in this little raft. I sooo want to buy one of these things! Dear Jesus I thought that said Hike-a-Thonging.